Looking to place a tshirt printing Singapore order? We are providing a quick step by step guide on how you can customise your very own t-shirt. What is the t-shirt used for? Are you customising a t-shirt for your company event, as a class t-shirt or as an outfit for your bridesmaid/bridegroom? The first thing to consider would be quantity. 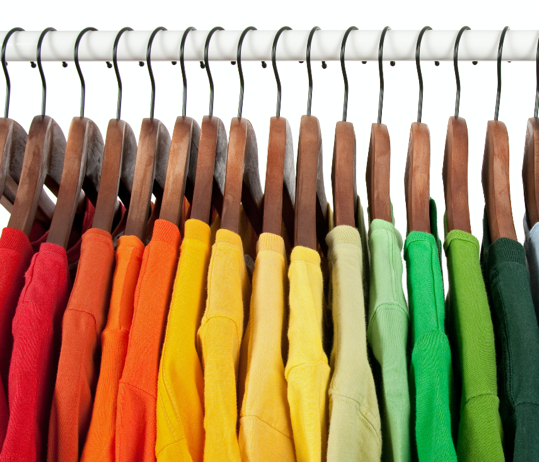 Are you mass producing hundreds of t-shirts for your company, or just a few t-shirts? The second thing to consider will be cost. Do you have a budget to work with, or do you just want to get the best customization and the best t-shirt? The third thing to consider would be the type of customization required. Do you have a single design for all the t-shirts or do you need to customise each t-shirt individually by adding names, or initials, for example? If you are thinking of doing mass production and you would like to keep the cost low, you can consider doing silkscreen printing and keep the number of colours to a minimum. If you are simply making a few t-shirts and budget is not your main concern, you can opt for embroidery or digital printing. Once you have figured out the main form of customization to apply, be it silkscreen printing, digital printing or embroidery, we can go on to creating the design. For design creation, we always recommend using programs such as Adobe Illustrator so that design will be created in a vector format. Vector formats means that no matter how the design is enlarged, it will always be clear. Unlike a flat image like a Jpeg photo, which will be blurred when enlarged. 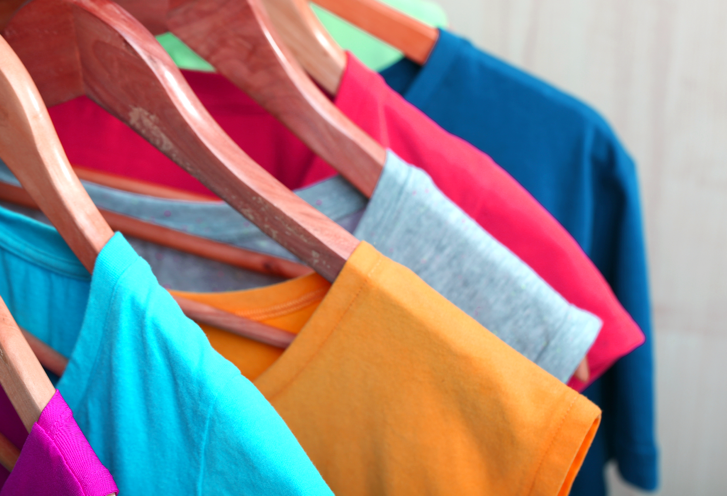 If you are thinking of doing silkscreen printing for your t-shirts, we would recommend that you stick to single/up to 5 colours. The more colours in a silkscreen print, the more it would cost. Silk screen is also not suitable for effects like gradients and it is more suitable for solid colours. Also, avoid very fine details as they may not come out clearly on print. If you are thinking of using heat transfer digital print, there is no need to be concerned about the number of colours and the colour that you can choose is unlimited. You can also do up very fine details /gradients and it should be able to display well on print. If you are thinking of embroidering your logo or artwork, keep it to a maximum of 9 colours and avoid including gradient colours. We recommending omitting fine lines or details which will not be able to show up nicely on embroidery. If you are not sure how to design using Adobe Illustrator, you can always provide us with the concept or a flat image of what you are hoping to achieve and our designers will be able to help. Armed with your own design and a clear idea of your specifications, it is time to look for a trusty vendor! When looking for vendors, important things to look out for include the range of t-shirts that the company offers, whether the production is done locally, how long the company has been in business, what is the reputation of the company, etc. You can either look for recommendations from friends, from reviews on the company’s Facebook page, or talk to the vendors to find out more! Once you have a list of companies that you feel comfortable working with, provide them with your exact specifications and requirements such as your design, your quantity, any preferred brand of t-shirts, etc. and they will be able to give you a quotation and how long they require to get the job done. Armed with the quotes and the timeline, it is time to settle on a vendor to do custom tshirt printing Singapore! Do make sure to check out the t-shirts available and confirm that the sizing and material is correct; once printed, items cannot be exchanged! In most cases, companies will require full or partial payment before customization work can commence. Do proceed to make payment and get a confirmation on the delivery date. If the process sounds daunting to you, fret not! Simply talk to us at Ark Industries and our professional custom tshirt printing Singapore specialists will be glad to assist you. With more than 10 years of experience, a local production setup and with apparel from multiple international brands such as Under Armour, adidas, Yupoong Flexfit and Titleist under our belt, we can offer you a wide and comprehensive range of apparels and customization methods for your pick and choose. Talk to us today!